Well, it turns out that many of you have actually done so. Some pretty cool stuff has been showing up in our inboxes recently, and we’re really exited to share some of them with you today. 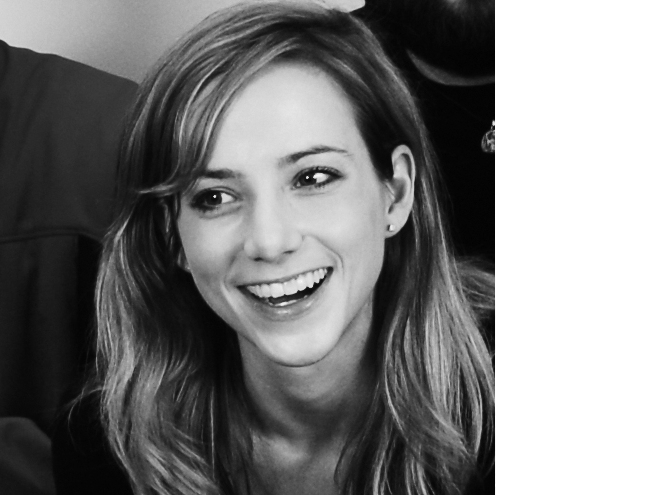 Corinna’s name may sound familiar to many of you, as we have mentioned her on our blog before. 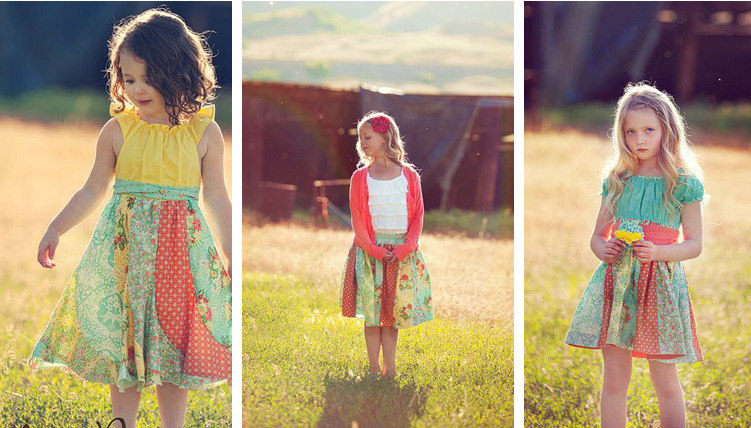 Corinna is awesome because not only does she make and sell these adorable dresses and skirts, (check out her etsy shop) she was also kind enough to whip up some sample dresses for us out of our Birds and Berries line for use in our market booth. 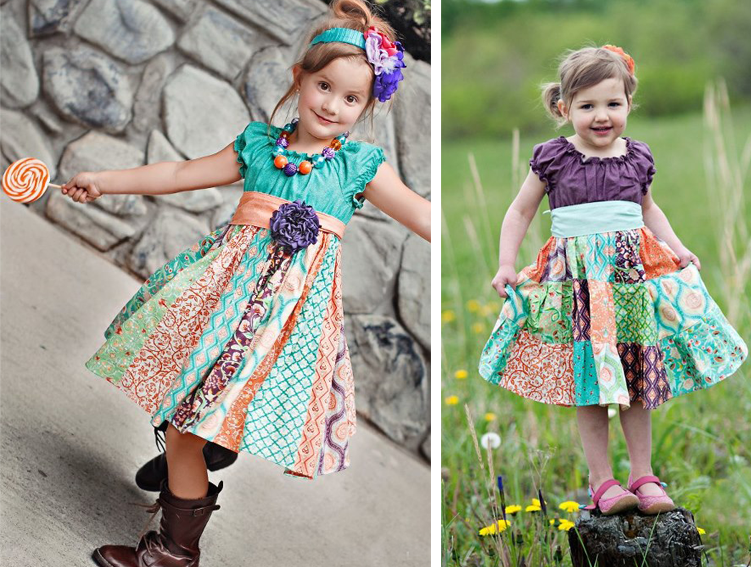 I totally want one of these dresses, and I don’t even have kids yet. But the craftiness doesn’t stop there. 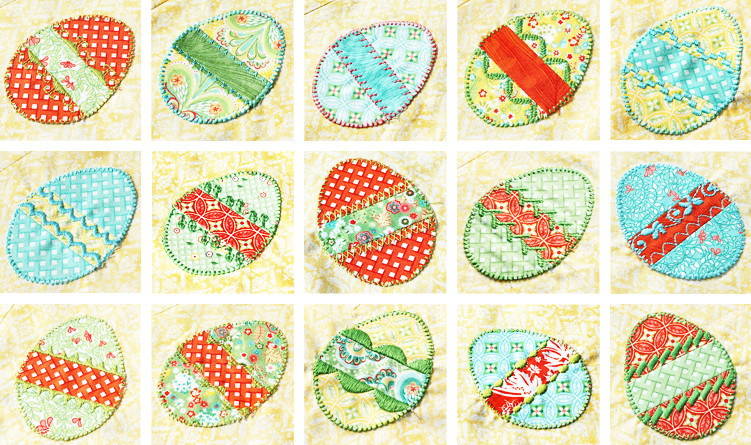 Feast your eyes on these little gems…er eggs…sent to us by Amanda Murphy of Amanda Murphy Designs. Amanda used our Flora line to make her Easter Egg Table Topper come to life, which I think was a great decision…for obvious reasons. You can view the whole table topper here…but wait there’s more! This pattern is actually a free tutorial that she’s posted on her website. She shared the directions in multiple posts, which can be found here, here, here, and here. 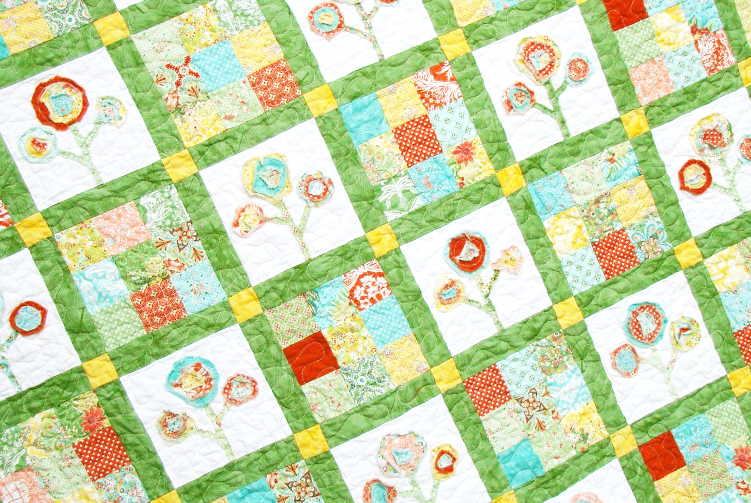 And last, but most certainly not least, we’ve got Laura Piland’s “Bloom” quilt. 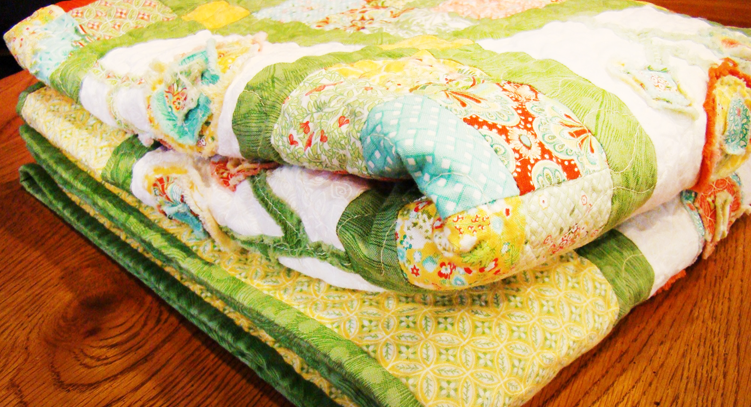 I love the vintage chic feel of this quilt. In fact it almost looks like something you could buy from Anthropologie. And the story behind this quilt is equally cool. 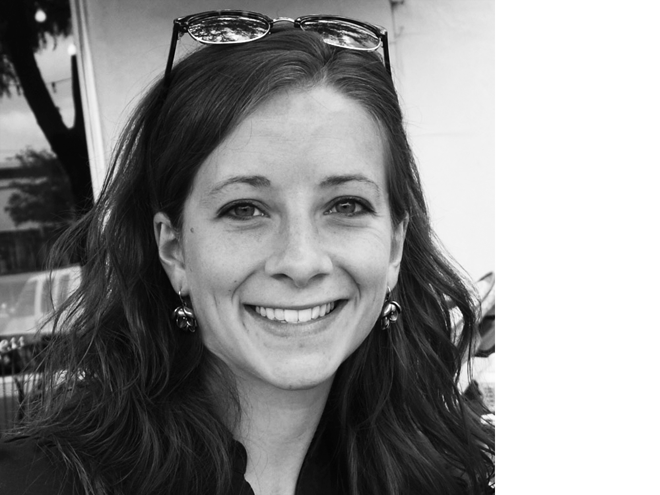 Laura is new to the wonderful world of quilting, and by the looks of it, she’s a natural. Anyway, she made this quilt for a friend who was moving to a new…very far away town as a reminder to always bloom where you are planted. I know…it melts your heart doesn’t it. What a great friend! I’ll finish off the post with one last plea…Please send us photos of your projects! We know you’re out there…and we know you’re crafty. You can either e-mail us via our contact page on the website, or post it to our Facebook Fan Page. Thanks! This entry was posted in Birds & Berries, Flora and tagged Crafty Crafters. Bookmark the permalink. Post a comment or leave a trackback: Trackback URL. Everything is so beautiful, so inspiring! 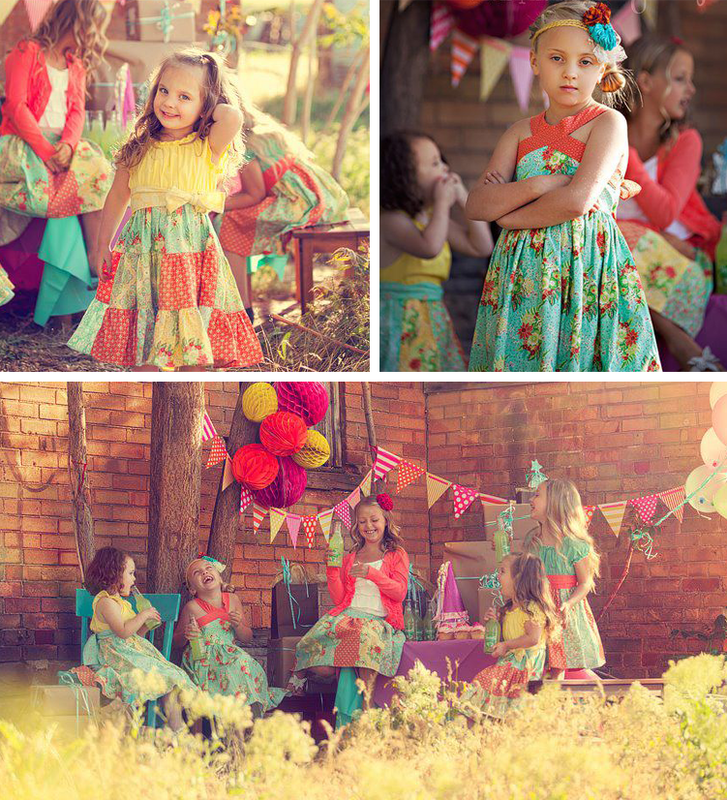 Those dresses- I wish I had a little girl! Those are so cute. 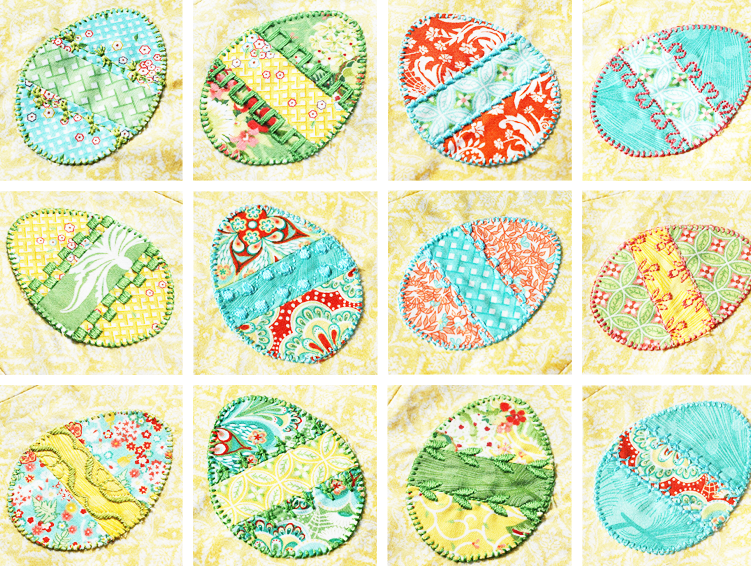 Did Laura mention if she had a pattern for the Bloom quilt? I know, right! 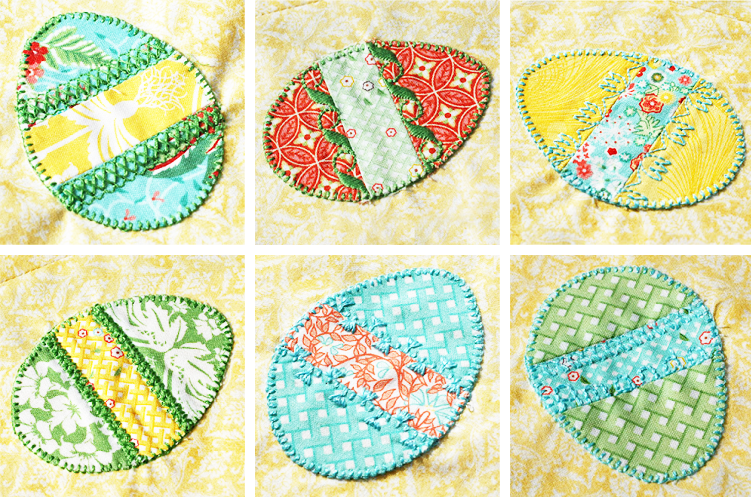 According to Laura’s e-mail, the pattern is based on “Lissy’s Flowers” by Mary’s Cottage Quilts.